Muttenz, November 18, 2013 – Clariant, a world leader in specialty chemicals, introduces its new, innovative Liquid Masterbatches system for almost all polymers and production processes. HiFormer™ – high performance integrated liquid masterbatches –will set a new industry standard by offering the right mix of consultancy, engineering and chemistry for world class performance, flexibility and excellence. HiFormer is able to deliver service, technology and expertise from the design stage to the start of production and beyond. 1. CONVERSE – when all stakeholders define the parameters of the project, and identify major objectives and potential limitations. This fact-finding phase is aimed at assembling the necessary background which is needed to make a fully informed decision about the most beneficial masterbatches solution. 2. CO-CREATE – the phase in which Clariant, the brand owner and the plastics processor work together to customize the specific needs of the application. 3. 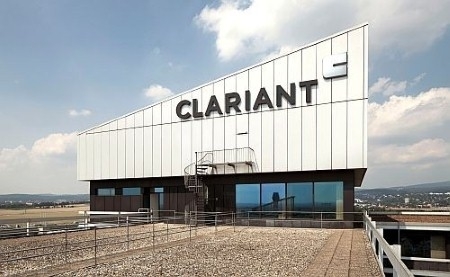 COMPLETE – with the important decisions made, Clariant’s global team goes into action, making sure that the process continues to perform, delivering long-term profitability. Clariant believes that following this approach will lead to a full understanding of the customers’ needs and that through active partnership new and sometimes groundbreaking applications can be achieved.The HiFormer liquid masterbatches system brings a host of advantages for the packaging and consumer goods segments in the plastics industry. It allows wider use of liquid color and additive concentrates. Vibrant color shines through, especially in translucent and transparent polymers, and processing efficiencies deliver the high productivity at a low total cost. With its tailored carrier technology and customized dosing- and- handlings systems HiFormer opens up new dimensions: fast and simple colors changes, maximum flexibility, and high reproducibility of the defined color.In addition to the improved efficiency of the manufacturing process, the liquid masterbatches are highly concentrated, so that less is needed to achieve brilliant, vibrant hues. Clariant offers a range of chemically balanced blends of pigments and additives that deliver the precise combination of performance and economy to gain a marketable advantage in PET bottles, PE, PP and PS packaging, closures, consumer durable goods and many other applications. Clariant liquid masterbatches can be used with almost all thermoplastic resins and processes, including extrusion, injection molding and blow molding. They are compatible with commonly used additives. When properly formulated as part of a total systems approach, liquid masterbatches deliver not only the desired shade, but the chemistry of the base resin, special process requirements and the targeted performance level of the finished part.